Upon entering the White House you will be directed to speak to the Quartermaster and it is through him that skills are unlocked. To be able to unlock the skills will require having the necessary Skill points which are obtained whenever you level up. The first variant of each skill will cost 1 Skill point with each subsequent variant skill costing an increased amount of SHC tech caches. This page gives you a list of all of the Best Skills in the Division 2 along with all their variants. Automatically tracks and attacks hostile targets. Can be manually overridden to target a specific enemy. Manually controlled by the deploying agent to dispense streams of flame in a forward-facing cone. Fires high-calibre rounds at manually selected targets. Deployed at a set location and continually pulses the nearby area for hostiles and visually highlights them on the agent's HUD. Pulses outwards, overloading and disabling hostile electronics. Pulses surrounding area for hostiles and visually highlights them on the agent's HUD. Disperses a cloud of gas that repairs and reinforces the agent's allies' armour. Creates a cloud of explosive gas that can be ignited through explosives, weapon fire, etc. Fires a payload of sticky foam that immobilises targets. Releases a cloud of corrosive gas that damages enemy armour, skill proxies, and causes damage over time. Blind enemies it passes over, causing them to be unable to function at full combat effectiveness. Attaches explosive charges to targets that detonate if two are in close proximity. Damages or destroys enemy weak points, skill proxies, and environmental explosives. Send out micro drones that attack and distract nearby enemy targets. Deploys small drones that revive nearby downed allies. Sends out micro repair drones that expend themselves to repair allies' armour. Delivers a stimulant to nearby allies that increases their combat efficiency. Attempts to deflect incoming bullets from a sonic emitter mounted beneath the drone. Requires an agent to set two points, and then deploys a payload of miniature explosives between them. Replenishes nearby allies' armour, or can be manually targeted on a specific ally. Tracks targets and attempts to maintain line of sight while continuously firing. Provides near full-body coverage, but it's bulk means that only sidearms may be used while it's equipped. A lighter shield that allows all primary weapons to be equipped while it's equipped, but exposes the agent's legs. Causes incoming bullets to ricochet to a nearby highlighted target with a clear line of sight to the agent. Though not a full-body shield, lack of a brace means that only a sidearm may be used alongside the shield. Can be deployed to track down hostiles and explode on reaching close proximity. Rolls toward its target, and launches an explosive burst into the air on reaching close proximity. Splits into smaller seekers and tracks down enemies, exploding when reaching proximity. 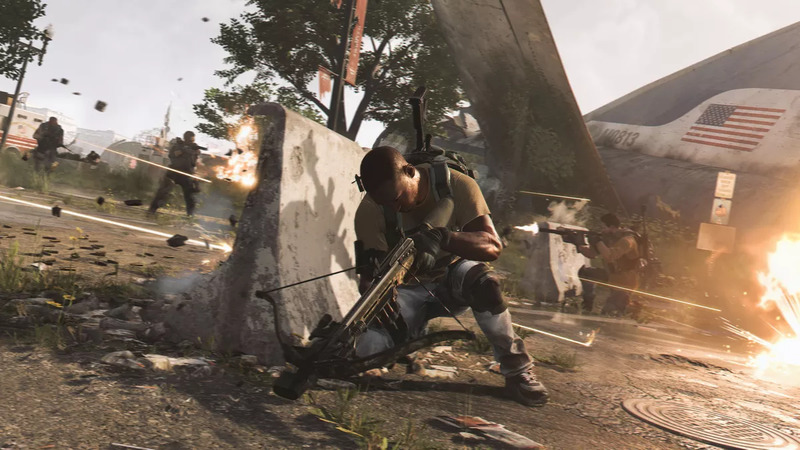 Selecting the best skills in The Division 2 will be determined by what your purpose is. If your objective is to take out a group of armored foes you may want to consider choosing one of the three Seeker Mines options. These are easy to use and when deployed they will either roll towards a specific target or detonate by the nearest enemies. If your objective is to take down an armored target a good option is to choose the Riot Foam Chem Launcher variant. This will immobilize enemies allowing you to strip them of their armor with concentrated shots. Another option which you may want to consider which will benefit your team is the Fixer Drone which is a healing buff that when deployed will restore armor to your allies. There are also variants of the drone that can be used for damage dealing rather than healing. Check out our How to Unlock Skill Points page to find out how you can get Skill points to obtain these skills.